When you begin living in Canada, the decision to apply for a citizenship is a very important one. 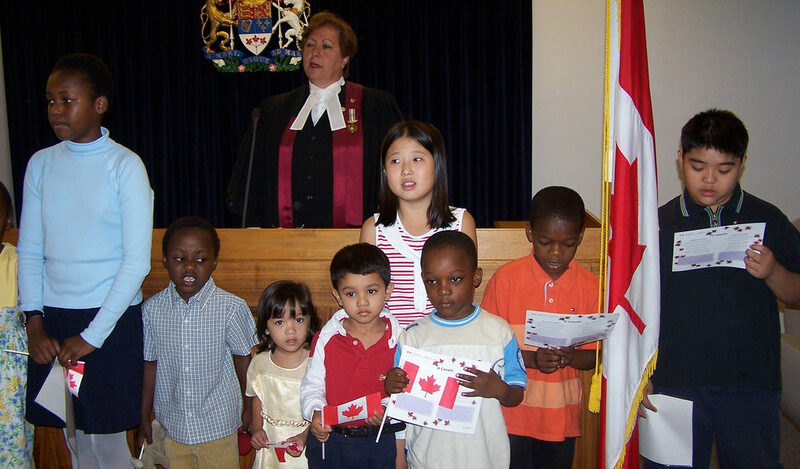 A Canadian citizen is “one who is entitled to the rights of a citizen, and subject to the duties of a citizen.” Canadian citizens can pass their status on to their children. To find out more about the benefits of Canadian citizenship and how to apply, keep reading this guide. One of the biggest benefits of Canadian citizenship is travel. Owning a Canadian passport makes travel much more simple. Only Canadian citizens may apply for a passport. Canadian citizens can tour the U.S. and enter over 150 countries without a visa. Receiving Canadian embassy assistance when traveling abroad is only available to citizens. Canadian citizenship also improves your relationship with the government. Citizens cannot be deported or lose their status. They may live outside of Canada for as long as they like. In addition, citizens are able to continue receiving social benefits from the government. Lastly, Canadian citizenship allows you to play a larger role in society. This includes voting in federal elections, running for elected office, and participating in jury duty. Citizens can also apply for a job with the federal government, and have a higher chance of being chosen. If you are applying for your family, put all the forms in the same envelope. This can help speed up the process because even if there are issues with one of the applications, the government will continue to process the rest. The Government of Canada has a very detailed list describing who is and isn’t eligible to apply for citizenship. We recommend their website for the most up-to-date criteria. Show knowledge about Canada and the responsibilities and privileges of citizenship. You may not be eligible if you have a criminal record/charges, were ordered to leave Canada, had your Canadian citizenship revoked, or were refused Canadian citizenship in the past due to misrepresentation. Discover Canada – this website is dedicated to helping immigrants learn about Canada and prepare for the citizenship process. This includes help with the application, test, and oath. Citizenship Preparation Classes – Our partners at Immigrant Services Calgary run free classes to help immigrants learn about Canada’s history, heritage, culture, and more. CitizenshipCounts – this site has some practice guides and quizzes as well as flashcards to help you prepare for the citizenship test.